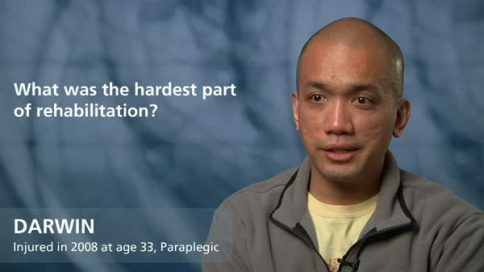 Paralysis causes major changes to your body. Movement and feeling have been lost to some degree. Medical needs must be handled. There is weakness and fatigue in the muscles that can still move. Most people cannot handle the tasks of everyday life in the same way they did before. That’s why everybody who has a spinal cord injury needs rehabilitation in order to maximize physical improvements and to help adjust to a new life. 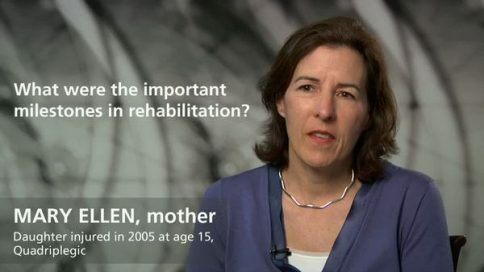 The goal of all SCI rehabilitation is to help you reach your full potential after injury. Everybody is an individual; not all injuries are the same, which is why rehabilitation programs are designed to fit each individual’s needs. A team of people put together a plan to help you live an active, healthy life. Psysiatrists are the rehab doctors who lead the team and manage your medical care. They are specially trained in Physical Medicine and Rehabilitation, and their job is to help you maximize what you can do, and to help you adapt to what you can’t. Nurses often provide the early in-hospital education in how to manage bowel and bladder issues. Occupational Therapists focus on helping you find ways to take care of yourself and to carry out your daily living activities, such as bathing, eating and getting dressed. Their emphasis is on making you as independent as possible. 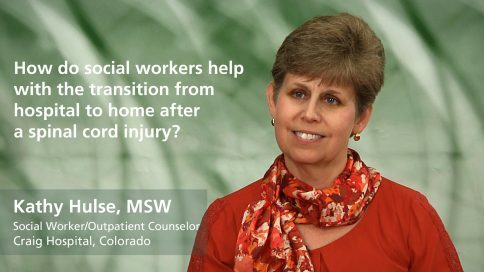 Social Workers help with the transition from hospital to home. They come up with a discharge plan for your continuing care and rehabilitation after you leave the hospital. They help with plans for home modifications that make for an accessible home environment. Recreational Therapists help you get out into the world and back into recreational and leisure activities you can do and enjoy. Physical therapy programs are individual, designed to help you regain as much ability to move in the world as is possible for you. 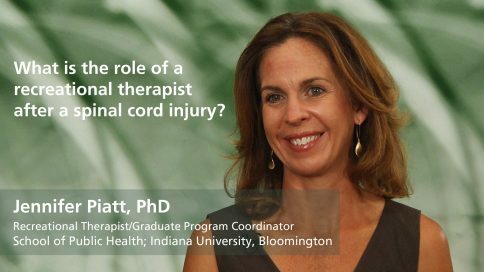 Typically, therapists develop a series of goals for mobility, strength, and independent movement. They focus on stretching and strengthening to increase your range of motion, on key mobility functions, such as sitting up and rolling around in bed, transferring from bed to wheelchair and back again and on developing wheelchair mobility skills. It’s important to find a physical center that knows how to deal with people with spinal cord injuries. 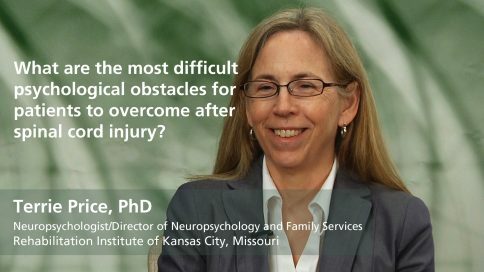 Since spinal cord injuries are relatively rare, many facilities have had little or no experience in working with SCI patients. To maximize your rehabilitation, you need be treated at a facility that has lots of experience in dealing with injuries like yours. 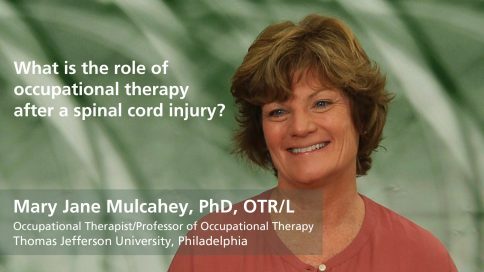 It’s often said that the goal of occupational therapy is to help people “live life to the fullest.” The term “occupation” therapy doesn’t apply to doing a job, but to everything people do throughout the day. In addition to helping you learn to take care of yourself (bathe, dress, eat) your occupational therapist is primarily interested in helping you find a way to get back to doing the things you want to do. As you might guess, recreational therapy focuses on helping you to find ways to get out in the world and enjoy the activities you used to enjoy before you were injured. They help you find adaptive sports, and adaptive sports equipment and find ways to do outdoor activities like boating, sailing, camping and fishing. 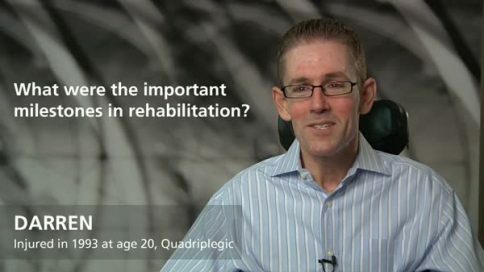 Adaptive recreation plays an important role in recovery. 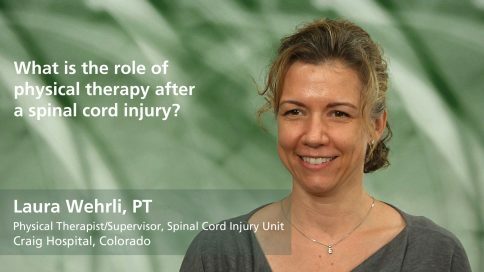 What is the role of a recreational therapist after a spinal cord injury?